Website, Landing Page or Sales Page – Your customers need somewhere to go to find information about you and your products or services. A website, landing page or sales page can act as this source of information. Shopping Cart – In order for customers to find your products and then purchase them, you will need a shopping cart. A shopping cart is software allowing you to offer a way to display product information, pictures, and sizes and so on and then obtain your customers credit card information using a secure system. Merchant ID Number – After setting up a merchant account, you will receive an MID or Merchant Identification Number. This is a unique identifier linking your shopping cart with your merchant account. You will not be able to take orders without one even if you have a shopping cart. Once you have done these three things, you are ready to start accepting credit and debit cards online. There are typically more steps involved for accepting ACH payments online. These steps can be addressed directly with your merchant service provider. 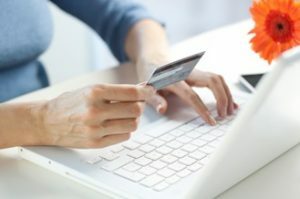 A Charge.com account representative can help get your website ready to start accepting credit card orders from customers in less than 24 hours. Contact us today or fill out the form to the right! Description: Need to take payments online? No problem, Charge.com can help set up a merchant account with a payment gateway so you can start accepting credit cards on your site!